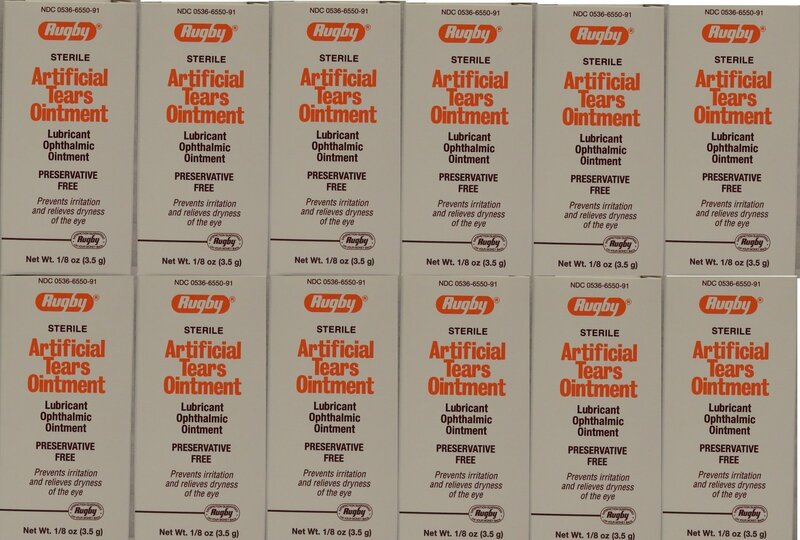 Rugby Artificial Tears Ointment relieves dry eyes and prevents further eye irritation. This lubricant ophthalmic ointment is preservative free. Active ingredients are white petrolatum lubricant (83%) and mineral oil (15%).